When it comes to data stored on your office computer it is difficult to pin point when the data is deleted from the system. Simply deleting files doesn’t truly remove the data from the hardware. The file information is kept in a directory in order for the operating system not being able to locate it. When a file is deleted, all you are doing is removing it from the directory and flagging that part of the drive as being available for new data. Until that region of the drive is overwritten the old deleted data can be retrieved using data retrieval software & hardware. 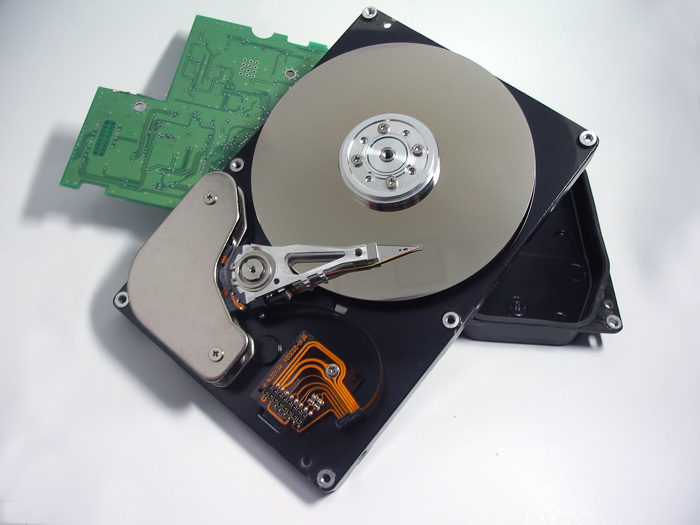 Degaussing is the most common method of data removal from hard-drives for Organisations. Degaussing is the removal of unwanted magnetism from a magnetic field. As a hard-drive operates by spinning magnetised platters thousands of times per minute and reading the information from them with heads within the drive, a degausser is utilised in order to disrupt/demagnetise the magnetic platter making it unreadable for these heads within the drive. Degaussed hard drives need to be tagged as “processed” because a degaussed hard drive looks exactly the same as a non-degaussed hard drive. There is no simple or inexpensive way to test the efficacy of the degaussing process other than regularly testing the degausser’s magnetic output and trusting the physics of magnetics. There is no method of guaranteeing that a particular degaussing machine is strong enough to destroy all the data on every hard-drive. With all of the points in relation to degaussing stated above now we can look at shredding. It is brief, there are no risks involved during a professional hard-drive shredding process as the data is 100% guaranteed to be destructed and unrecoverable. Eliminate the need for storing obsolete data storage hardware in boxes, pallets, offices etc. Maintain the highest level of compliance with Legislation in relation to data protection and secure destruction. Post researching the area it is clear to see that when it comes to Hard Drive Shredding Vs Hard Drive Degassing the shredding option is a more cost effective and secure method of electronic data destruction. In my next post I will discuss the additional method of electronic data destruction which is Data Wiping and in turn discuss the disadvantages and advantages for an organisation.